We will be featuring a wide variety of workshops and demos highlighting the Real local food scene in southern California. Each of us has 20,000 genes in our human genome, but over 2 million genes carried by bacteria and other tiny organisms in our gut (our microbiome). Science is just starting to reveal the profound differences between people in terms of our microbiomes, and their effects on health. In particular, although you are 99.99% identical to other humans in your human genome, you might only be 10% the same in terms of your microbiome. The microbiome changes profoundly from infancy to adulthood, and your microbiome is less similar to a baby’s than to the microbiome of another species, like a bear or a camel. We are just starting to find out how factors such as C-section, breastfeeding, and antibiotics shape the infant microbiome in ways that affect life-long health, and how the microbiome affects how different people metabolize different foods. Even differences between white and purple potatoes can matter, and can have different effects depending on your microbiome! Of particular note, the health effects of fermented foods are thought to be due to particular microbes they carry, and the combination of the American Gut Project, which lets anyone sequence their microbiome, new tools being developed at UC San Diego’s new Center for Microbiome Innovation will allow us to make rapid progress in helping each person find their ideal diet to feed not just their human body but also their microbiome. Rob Knight is Professor of Pediatrics and Computer Science & Engineering at the University of California, San Diego, and author of Follow Your Gut: The Enormous Impact of Tiny Microbes. He received a B.Sc. 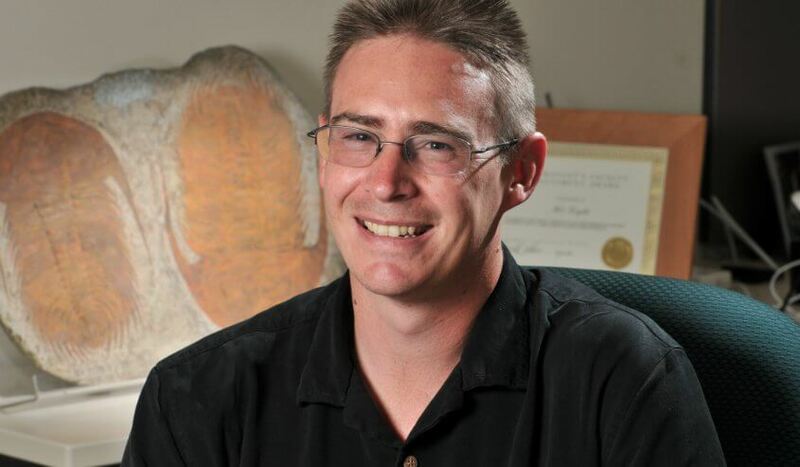 in Biochemistry in 1996 from the University of Otago in his native New Zealand, a PhD in 2001 from Princeton University in Ecology and Evolutionary Biology, and performed postdoctoral work at the University of Colorado, Boulder before becoming a faculty member in the interdisciplinary BioFrontiers Institute there in 2004. He moved to UC San Diego in 2015 to direct the new Microbiome Initiative. His TED talk on the human microbiome has been viewed about 1 million times. His work combines microbiology, DNA sequencing, ecology and computer science to understand the vast numbers of microbes that inhabit our bodies and our planet. Did you know that lacto-fermented foods such as sauerkraut, kimchi, and pickles can help you stay young Learn the scientific reasons why these traditional live-culture superfoods can improve your memory, boost your immune system, and increase energy. And then Karen will show you how to perk up your fermented veggies by adding in surprising ingredients, including stimulating and exotic herbs, and spices. 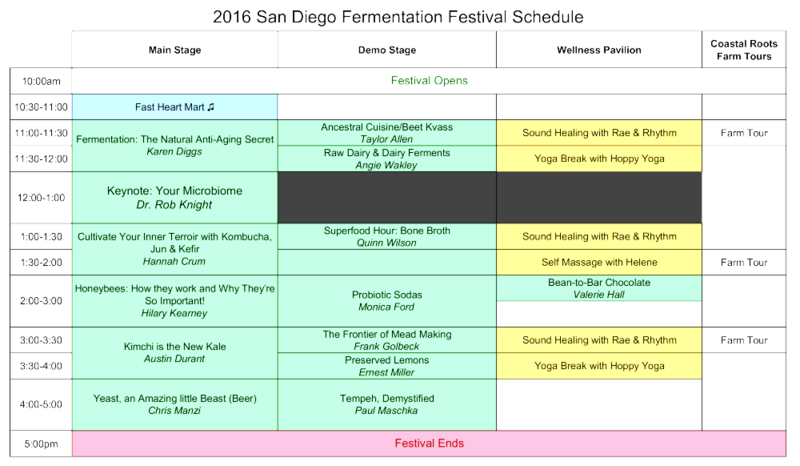 In addition, Karen will also share recipes for using fermented foods in creative and delicious dishes. Karen Diggs is a Certified Nutritionist, Therapeutic Chef, writer, and Founder of Kraut Source. In addition, she is also a culinary instructor at Bauman College in Berkeley, CA. In 2014, Karen launched a Kickstarter campaign to fund Kraut Source (a nifty stainless steel fermentation device that fits onto Mason jars for small batch making of yummy superfoods such as sauerkraut, pickles, and kimchi). The Kickstarter was a success and now she is in business. Her main passion is to encourage everyone to start making their own live-cultured, fermented foods at home. Karen also has a book coming out in January of 2016 tilted Happy Foods by Viva Editions. The book is a guide on using organic whole foods to boost mood and health. As bacteriosapiens, we are bacteria powered! The more bacteria rich fermented foods that we incorporate into our diet, the better we feel. Learn how easy it really is to enjoy the benefits of brewing Kombucha, Jun & Kefir at home for a fraction of the cost while nourishing your human soil – the human microbiome! Hannah Crum is The Kombucha Mamma, founder of Kombucha Kamp, the most visited website in the world for quality Kombucha information, recipes and supplies. KKamp’s mission is to “change the world, one gut at a time.” Along with partner Alex LaGory, Hannah is also an industry journalist & Master Brewer, directly mentoring thousands of new and experienced Kombucha brewers and providing consultation services for Kombucha start-ups since 2007. Together, Hannah and Alex also co-founded Kombucha Brewers International, the industry non-profit trade association dedicated to promoting bottled Kombucha around the world where Hannah serves as President. Their 400 page, full color The Big Book of Kombucha is set for release by Storey Publishing in March 2016. Hannah is also a leader and featured speaker in the Real Food movement, using the “Kombucha Lifestyle” as an introduction to other fermented foods, gut health, the human microbiome, “bacteriosapiens” and more. Hilary takes you into the beehive to learn about the fascinating behaviors of honey bees! Honey bees are one of the few creatures on earth that make their own food and they do it with fermentation! Find out exactly how it’s done and new ways to use these products from the hive at home. Plus, Hilary will share what’s going on with the global bee crisis and how we can help. Hilary Kearney is the girl behind Girl Next Door Honey, an urban beekeeping business. She is a San Diego native with a degree in Fine Art from the University of California Santa Cruz. She began her beekeeping journey in 2008 which she describes as a classic tale of “Girl meets Bee”. Her business strives to connect people with their local ecosystem through bee related interactions and educational opportunities. Learn about the six principles of ancestral cuisine and proper preparation techniques with Chef Taylor Allen of Gut Goods. During the presentation we will be demoing one of the six pillars, fermentation, with a tutorial on beet kvass with mulling spices. As an added bonus we will teach you how to make a ginger bug (used to carbonate beverages with a probiotic punch) to make sparkling beet kvass! Chef Taylor Allen attended San Diego Culinary Institute where she studied under Chef Larry Lewis and acquired knowledge of traditional French cooking techniques. Taylor studied intensively at the Lardmouth Ancestral Cuisine Academy where she immersed herself in the ancient food traditions of our wise and healthy ancestors the world over. Taylor specializes in GAPS (Gut and Psychology Syndrome) protocol as well as paleo, gluten & casein free meals. Currently Taylor is studying to become a Nutritional Therapy Practitioner and doing recipe development for The Price Pottenger Nutrition Foundation. This presentation will cover the basics of fermenting for alcohol production and the amazing, sometimes “funky” flavors that different types of yeast can create. Once we know the basics, we will explore the history of yeast, and how brewers have selected and created their “house yeast” character and how you can do it at home safely and successfully. The lessons learned here can apply, in part, to fermentation of all types. Chris Manzi has had an interest in brewing and fermentation for over 8 years and has led him the role of Manager at The Homebrewer: Resource Center, in North Park. Here you can find him chatting about all kinds of fermented beverages, pouring tasting flights and teaching brewing courses. Quinn Farrar Wilson knows first hand about the positive healing effects of bone broth. She started her own bone broth business after the nutritional powerhouse helped her heal a lifelong injury. And she recently wrote a cookbook, Bone Broth, available in January! Now she shares her personal bone broth how to’s and go- to’s, offering a variety of ideas for incorporating bone broth into your life. Quinn takes you step by step through the broth process – from choosing the best bones to selecting your equipment – and shows you that this super food is more than just a trend. We have evolved to seek out bubbly drinks for our health AND refreshment. Sodas are wonderful because they give parents an easy and fun way to get their kids to consume fermented foods. Monica will teach you how to make a ginger bug (a wild fermented starter for Real Soda) and how to make Real Fermented Pineapple Soda. She will also talk about the history of soda, its roots as a tonic and how to embrace our connection to a history of fearless alchemy. She will also have samples of her bubbly creations to share! Monica speaks and teaches around the country on traditional food preparation regularly, as part of her community outreach and education efforts at RealFoodDevotee.com. She has taught demos and spoken on fermentation and gut health at the Santa Barbra, LA and Austin, TX Fermentation Festivals; partnered with Whole Foods to offer affordable group classes on fermentation and traditional foods. 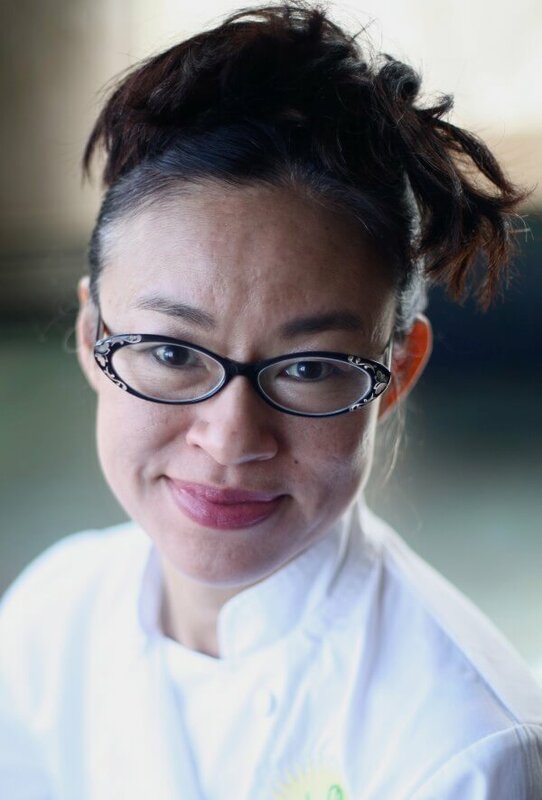 She also trains professional chefs in the SoCal area how to incorporate fermentation and other traditional foods techniques into their practice. Monica founded Real Food Devotee, the first traditional foods delivery service bringing nourishing foods like bone broth, fermented foods & beverages and paleo treats to San Diego & LA. Like wine, we will taste exquisite Dark Chocolate together and compare notes. Along with a very short lecture and discussion about chocolate and why it’s present at a fermentation festival. Let San Diego’s Nibble Chocolate take us on a journey from Peru, the Dominican Republic, Brazil, Madagascar, and for a limited time Colombia. Valerie Hall is a native San Diegan who’s studied art, music, sustainable agriculture, history, yoga, alexander technique and much more. Paradise has offered her tremendous opportunities over the years and she strives to build, beautify and strengthen the holistic and open-minded community. Valerie is not only a self taught artist but also a vegan and/or paleo chef. She enjoys consuming large quantities of chocolate, cooking for family and friends, and venomously discussing nutrition and permaculture. If you think preserved lemons are only for Moroccan cuisine, you’re wrong. Preserved lemons can add zip and zest (literally) to practically any dish. Learn how easy they are to make. Bonus: Why California lemons make the best preserved lemons. Ernest Miller is a chef, historian, educator, consultant and speaker who teaches classes in museums, schools and kitchens throughout Southern California. He has been called the Huell Howser of California food. He is the co-leader of Slow Food Los Angeles, on the speakers’ bureau for the Culinary Historians of Southern California, Lecturer for the Pacific Food and Beverage Institute, Chef Instructor at Le Cordon Bleu, director of Slow Food Preservation Advisors of Los Angeles County and founder of RLM Provisions LLC. Mead is magic! Honey, water, yeast… so simple yet oh-so-complicated. Frank Golbeck, co-founder of Golden Coast Mead in Oceanside, will share advances in the field of mead making, from how to make great meads every time, to how sour lactobacilius cultures work in fermenting mead and more. Frank Golbeck’s wife asked him, “If you had all the time, money and energy in the world, what would you do?” His answer: “Make mead and share it with people.” That’s what he gets to do every day. His grandpa made mead, he made mead in the basement of his student co-op in Berkeley, then made mead while he was in the Navy. Today he runs Golden Coast Mead, San Diego’s first and SoCal’s largest award winning meadery. Golden Coast Mead makes and shares delightful, authentic meads that are good for the earth. Learn about the history and culture of this ancient and ubiquitous Korean condiment, and a few recipes for seasonal kimchis. There are hundreds of varieties of kimchi, depending on the region in Korea and the season. Austin thinks it is slowly infiltrating western culture (much to his delight), and he’s sure it will supplant kale as the new “food thing”. 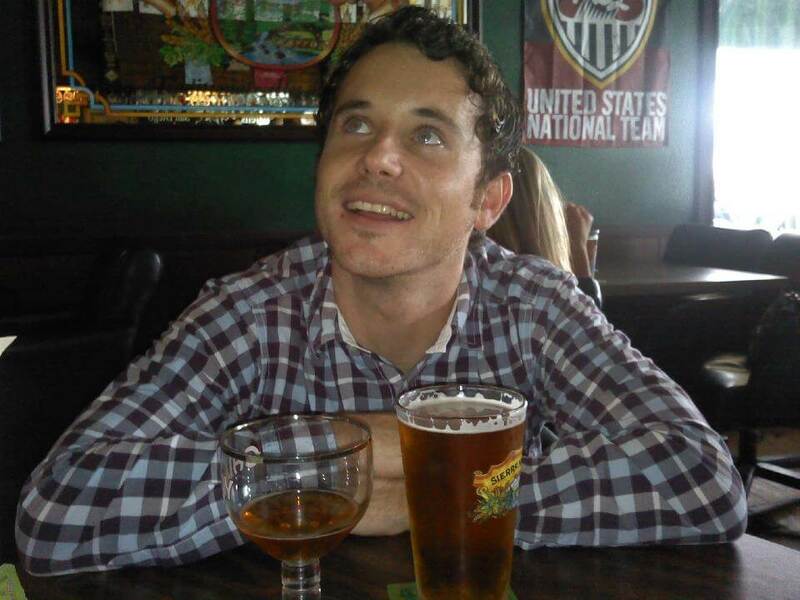 Austin is the founder of Fermenters Club, the San Diego Fermentation Festival, and the Oregon Fermentation Festival. Ever since he made his first batch of sauerkraut almost six years, he has been inspired by fermented foods. He began Fermenters Club as a food swapping club with some friends. His obsession and passion for sharing this “newfound” ancient knowledge quickly grew, and he began teaching fermented food workshops around the country. In 2015 he began producing the Festivals. Don’t tell the others, but kimchi is his favorite ferment. This presentation will reveal the miracle of tempeh, a nutritious Indonesian bean cake made with the help of some fungi! Tempeh creates an amazing and delicious marriage between seeds and fungus. In this course, you’ll learn the technique of how to make tempeh at home. For nearly 30 years, Paul Maschka has taught courses on regenerative farming, nutrient dense cooking, food preservation techniques and a multitude of cultured foods classes, beekeeping/bee rescue and the soil food web.